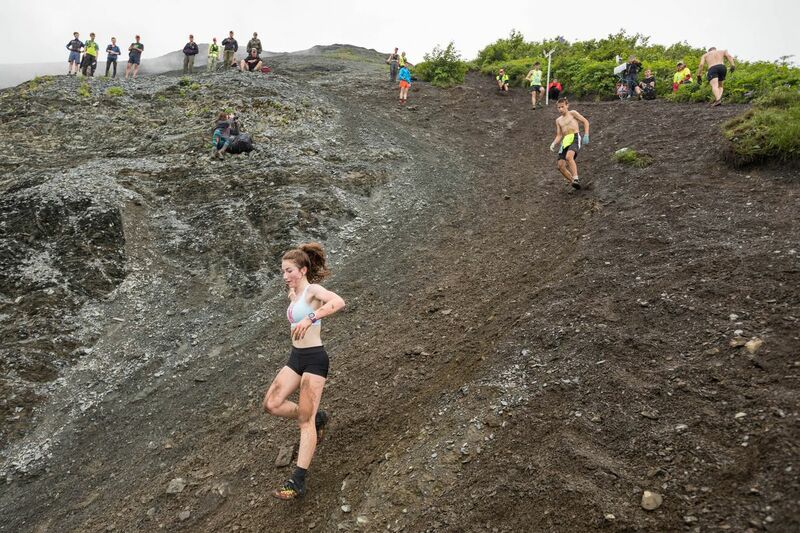 SEWARD — As Luke Jager stood in the finish corral Tuesday morning and accepted congratulations for his third straight boys title at Mount Marathon, he glanced down at third-place finisher Ali Papillon and shook his head. Jager is 17, and at 6-foot and 170 pounds, he's a man. Papillon is 12. He checks in at 4-5, weighing 70 pounds, and to hear Jager tell it, is surely an eventual junior champ, perhaps as soon as next year. Jager closed his junior career Tuesday — he'll age out next year and move into the men's division for runners 18 and older. Given the talent of an up-and-comer like Papillon, Jager's departure comes none too soon. He called Papillon "the next Allie Ostrander.'' That's high praise — Ostrander, the Kenai runner who's gone on to win an NCAA steeplechase title — won six consecutive junior girls races from 2009-14. Jager and his West High friend and teammate, Molly Gellert, 17, swept the junior titles for the second straight year. Jager and Gellert are national-class nordic skiers. Gellert, who does her club skiing for the Alaska Winter Stars, won a national Junior Olympic title last spring. Jager, who skis for Alaska Pacific University's Nordic Center, medaled three times at nationals. 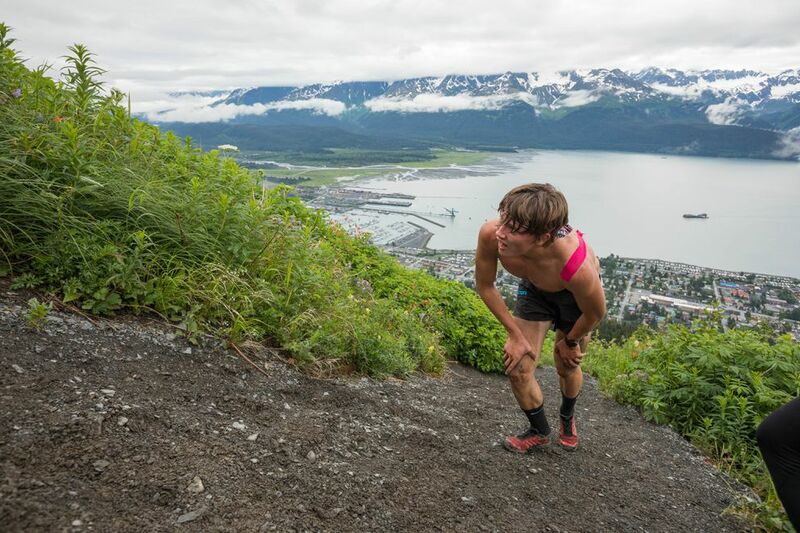 Jager became the first boy to win three consecutive Mount Marathon titles since Rory Egelus bagged three straight in 2002-04. Given slippery conditions, Jager and Gellert said they weren't too concerned with time — both knew they were unlikely to beat the personal records they established last year. "It was super-frustrating, like bear-crawling all the way up,'' Gellert said with a smile. Jager clocked 29 minutes, 9 seconds — 1:40 slower than last year. Gellert crossed in 32:53, 58 seconds behind her 2016 time. Jager said any faint notion of threatening Bill Spencer's 1973 junior record of 24:30 went out the window when he saw conditions on the mountain. "Bill Spencer's record will probably be there until I die,'' he said. Gavin Block of Palmer finished second among boys in 29:32 and Papillon took third in 30:00, slashing 1:24 off his time from last year. Ruby Lindquist of Moose Pass claimed second among girls in 33:55 and Kendall Kramer of Fairbanks earned third in 35:06. 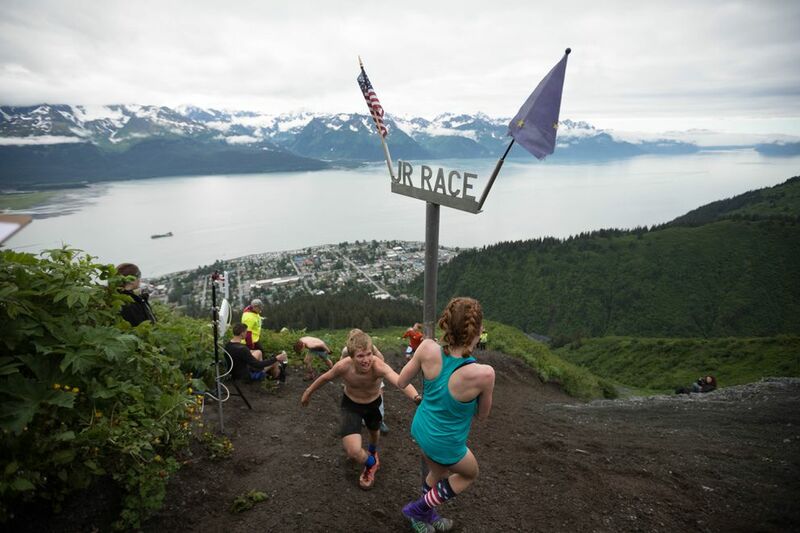 The junior race takes runners halfway up the mountain course that race officials still say peaks at 3,022 feet — even though recent surveys pegged the race peak at 2,974 feet — and back into town to the finish line. Jager will race the full mountain in the senior division next year, when his rivals will likely include race record-holder David Norris and Scott Patterson, both of whom ski for APU.